AutoGravity Reviews - Is it a Scam or Legit? 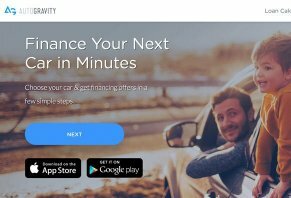 AutoGravity is an app you use to buy a new or used car and get financing. 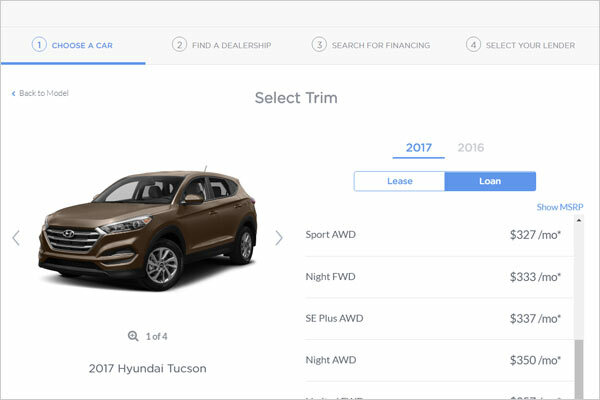 The app lets you choose the car you want based on availability in your area or across the nation, then apply for a car loan and compare up to four offers. What makes this app unique is that it’s the first app of its kind to merge finding a car and financing in one. If this were the mortgage world, it would be similar to a combination of Zillow and Lending Tree in one: an app that finds your home and finances it. According to Crunchbase’s files, AutoGravity was founded in October 2015. The company has raised more than $50 million in the past two years. We watched a video of two of the company’s employees, Chief Marketing Serge Vartanov and Chief Technology Officer Martin Prescher present at Finovate 2017. During their presentation, they talked about why AutoGravity is a necessity for car shoppers. In principle, AutoGravity sounds like a great app, but how exactly does it work, what are people saying about it and what’s the opinion of other experts? Those are the questions that need to be answered and that’s what we’re going to attempt to do in this review of AutoGravity. To get an idea of how the AutoGravity app works, we did a test run ourselves by searching for a 2017 Hyundai Tucson SUV. The search started with the choice between new or used. Whether you choose new or used, you’ll be able to select between 42 different brands that include luxury manufacturers like Maserati, Lamborghini, Rolls Royce and Aston Martin or non-luxury brands like Mazda, Ford, Toyota, Chevrolet and Subaru. Once you choose your brand, you have to figure out which model of car you want. AutoGravity lists each car with a photo, name of the model and its “starting at” price. After you choose your make, you choose the trim. In the case of the Tucson we searched, we had 12 trim options. These trims were paired with an estimate of our monthly payments, which ranged from $272 for the SE front-wheel-drive to $373 for the Limited all-wheel-drive. We chose the Sport AWD package, which was quoted at $327/month. Ever curious about the terms and conditions of loans, we read through the information provided by the “Financing Disclosures” link at the bottom of the trim page. While the monthly payments looked pretty reasonable during our selection process, we were curious about what those numbers were based on. In addition to these factors, the fine print also says the monthly payments don’t include title, license or registration fees, nor do they include taxes or, as far as we know, dealership fees. Now, if you want the ability to change the parameters of your monthly payment, you can do so by pressing the calculator button in the bottom right of the screen. Perhaps the most pertinent factor here is down payment, which totals out to about 25% of the car’s value. According to 2015 stats from Edmunds.com, the average American puts 10.4% down on their car purchase. We used AutoGravity’s sliders to adjust our down payment to 10% ($2,270). Our monthly payment went up to $306 a month. We added a 7.5% tax rate, which bumped up our payment to $398. As you can see, the price of your monthly payment increases significantly – about 20% – as you add in normal things like the average down payment and sales tax. The monthly payment they initially quote you is a best-case scenario and, based on what we know about average down payments and the fact that 38 states have sales tax, there’s a good chance your monthly payment will be at least 10% higher than the amount you see when you select your trim. After you choose your trim, you’ll be taken to a page where you choose the dealer you want in your area. Results are displayed on a map and an informational side bar. Individual dealer listings include address, website, an email address, phone number and hours. When you select the dealership, you start the search for financing. AutoGravity takes you through a four-step process in which you provide personal information, residence information, employment information and identification. In the Finovation video we mentioned earlier, Vartanov said that you can wrap up the financing process by simply taking a photo of the car’s vehicle identification number (VIN) and uploading it to the AutoGravity app. That number is then sent to the lender to finalize the loan. Because AutoGravity is a new app, there aren’t as many consumer and expert reviews as there are for other app-centered auto companies like Carvana. However, we were able to dig up some information about consumer and expert opinions. At the time of publishing, AutoGravity had more than 400 reviews on the Google Play store. Of those more than 400 reviews, 225 were 5-star, 78 were 4-, 3- or 2-stars and 110 were 1-star. We checked a few of the 5-star reviews and found that many consumers really liked the ease with which they could get a car through AutoGravity. A review from “mandar mulherkar” posted on Dec. 20, 2016, notes that, the last time the reviewer bought a car, he had to go from bank to bank to get the lowest interest rate. What’s unclear is whether or not the reviewer actually used the app to buy a car or he just likes the app’s concept. Complaints against AutoGravity tended to focus on certain specific aspects. Several reviewers said they were frustrated with the lack of choices and/or information about funding. AutoGravity only has six reviews on Yelp, with four of those being 5-star, one 3-star review and one 2-star review. The two-star review indicated that the reviewer, “Barry M.”, found a car make and model he liked but that it wasn’t available in his area. One of the things we usually recommend with a new app or tech product is to give it time. In the case of AutoGravity, reviews have pointed out that car choices are limited in certain areas. This is understandable, considering the company is new and is in the early stages of increasing their database of new and used cars. So, in that context, we believe the negative reviews based on limited availability are temporary – as the app’s car database grows, those reviews should decrease. Aside from that, we think that AutoGravity is an interesting option for people who want a fully automated car purchase (aside from the fact that you have to go to the dealership to buy the car). 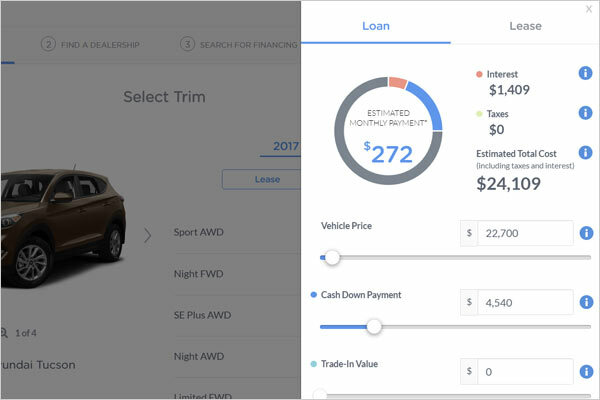 Based on our research, we think that this app’s greatest strength is the merging of searching for a car and financing at the same time. Now, there are financial institutions like USAA that offer portals through which you can find a car and obtain financing, but those tools haven’t been streamlined into a simple app through which you can do the entire financing process. Aside from that, we really like how simple the loan process is. Everything is easy to understand and streamlined. As some reviewers have pointed out, at the time of publishing, there were certain areas in the United States where AutoGravity didn’t have a lot of cars. However, we’ll point out here that exactly which cards are limited is hard to say. Considering there are 42 different makes available and many more models from which to choose, you shouldn’t have too many problems if there’s flexibility in the car you want. The other thing to which we can’t speak is loans – we read no reviews that talked about the loan process. While AutoGravity may make it seem like finding a loan is easy, there really is very little proof either way if that’s true. What we do know is that auto loans are much easier to obtain than home loans, so you should know whether you get the financing within 24 hours. Which financing options you’re offered and who offers it – AutoGravity said they work with leading lenders – is still a mystery. Who is AutoGravity Good For? We believe, based on what we’ve discovered in our research, that AutoGravity is a great choice for someone who wants to cut down on the time it takes to find a car and buy it. While it’s hard to say what AutoGravity look like a year down the road, we believe this could be a fluid, simple way to buy a car. Part of what will make this app successful is its ability to increase its car database to provide a reasonable number of choices for particular car models in most of the major cities in the United States. I have pretty good credit and spent last weekend at three different dealerships shopping around for cars. I really didn't want to spend an entire afternoon at the dealership getting the financing taken care of. Financing took me almost three hours four years ago the last time I bought a car. Not something I ever want to do again. I didn't have any trouble finding my car (GLA) on AutoGravity, and all the dealers I was shopping were on the map. I got two really good offers, both with 2.x% APR, within about 2 minutes of applying. Not four offers like I was expecting, but it was good having options, and I was able to get in and out of the finance office fast. I'm not sure if AutoGravity can help you if you have broken credit, but if you have decent credit like me, I strongly recommend it! No one likes sitting in the finance guy's office at the end of what feels like a misadventure that started a week ago instead of just this morning. After sitting in more cars than I can remember, I knew that the worst was still to come. Now, I get to face all my own financial demons at the scorn and bewilderment of the "finance manager." I hate it. Everything about it. So I gave up. I figured I would just have faith that my credit union would give me the best deal possible and dive in, head first into a brand spanking new five-year commitment. When I heard about AutoGravity, I admit I wasn't all that impressed. They don't really do much other than shop your credit around to lenders and see where you land. This concept, known as shotgunning, is often used by the "Buy Here, Pay Here" dealers that promise everyone will be approved for credit. And they're not lying, everyone gets a loan. A horrible, awful loan with jacked up APR and ungodly terms. So AutoGravity isn't doing anything new or novel. There are no great insights or tricks. It asks you upfront questions about your purchase (price, down payment) and then leaps right into the questions about your credit worthiness. This is what I found most disturbing. Buying a car, new or new to you, is a big decision. There's a lot of emotion involved. Making financial choices in the heat of the moment, while the adrenaline of being behind the wheel of a shiny new car is still coursing through your veins, is the worst time. And this app makes it all that much easier to race to the finish line. I was able to go from installing the app to having banks send me their proposals in under 120 seconds. Some might see that as a great selling point. Others should know themselves better and run, not walk, from this app. There is no rush, and there should be no pressure to sign on the dotted line and speed away. In the end, the app did not provide any great offers I didn't already get from other sites. It was convenient to have them all in one place, sure, but not overwhelmingly so that I would choose this method over any other. Write a Review for AutoGravity!